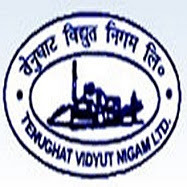 Online Application Details for Tenughat Vidyut Nigam Limited TVNL Recruitment of 12 Assistant Executive Engineer and 24 Junior Electrical Engineer is given below. Application form and duly attested documents are to be sent to H.O.D(HR), TenughatVidyut Nigam Ltd, HinooDoranda, Ranchi-834002 Jharkhand. In envelope super scribed with 'Application for the Post of Post Name'.